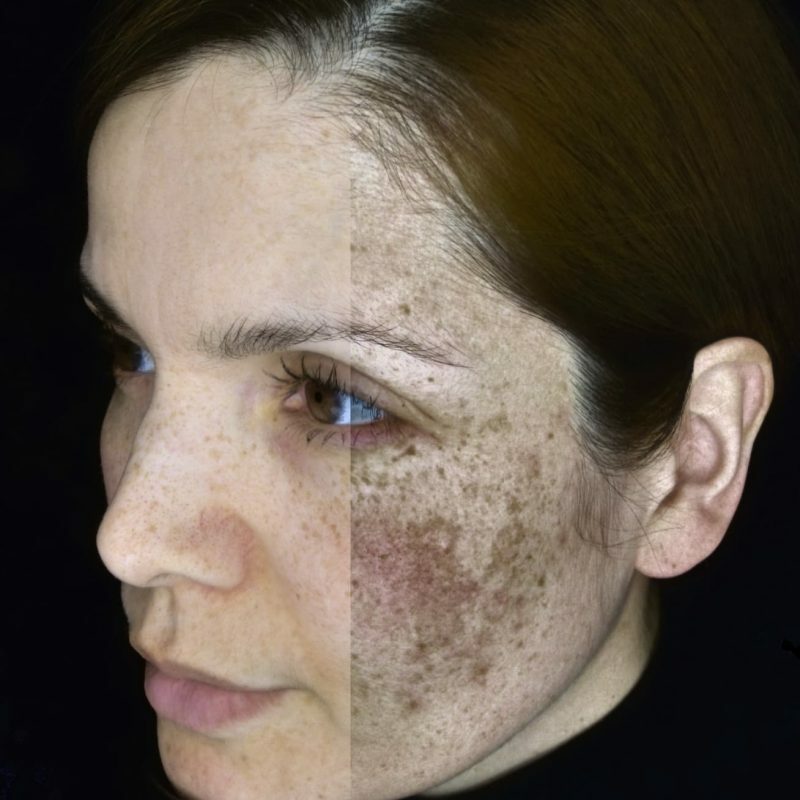 Skin pigmentation is due to the accumulation of two types of melanin granules in the keratinocytes (skin cells). Besides being the most potent blocker of ultraviolet radiation, the role of melanin in photoprotection (UV protection) is complex. I’ve had a client recently ask what type of skin ages better – fair skin or dark skin? It’s a great question, so I wanted to talk a little bit about it. Genetically, those with darker skins age better as they are naturally protected from the sun. Our skin contains cells called melanocytes. Melanocytes are responsible for producing a pigment called melanin. Our ‘normal’ skin cells or keratinocytes wear this pigmentation like a hat and it’s this hat that protects the nucleus of a skin cell. The nucleus is where our genetic information (DNA) is stored. Damage to our DNA (nucleus) will interrupt normal cell function and can lead to the cell reproducing damaged or even mutated cells which in turn can accelerate the signs of aging and can even cause skin cancer. The relative amounts of these two forms of melanin help determine a person’s hair and skin colour. People who produce mostly eumelanin tend to have brown or black hair and dark skin that tans easily. Eumelanin helps to protect the skin from DNA damage caused by UV radiation which is why those with darker skins generally age better. People who produce mostly pheomelanin tend to have red or blond hair, freckles, and light-coloured skin that tans poorly. Because pheomelanin does not protect skin from UV radiation and DNA damage, people with more pheomelanin have an increased risk of accelerated aging and skin cancer. So although everybody should protect their skin from UV and the potential DNA damage that comes along with it, those who are fairer or find they burn more than they tan should take extra precautions when outdoors. This entry was posted in Uncategorised and tagged eumelanin, meanin, pheomelanin, pigment, pigmentation.